We were really excited about putting this particular webinar together. Our CEO Jon Ferrara has known his co-presenter Jorge Soto for a while and they are both equally excited about developing relationships and helping others by sharing their knowledge. Jorge has been in the startup community for a while and has been a part of many startups himself. One of them was acquired by Twitter where he then ran Inside Sales. He’s also been an advisor, coach for a number of accelerators, including General Assembly. He now has his own startup called FirstCut.io, a videography agency where he and his team specialize in on-demand customer testimonials. Many readers of our blog are probably pretty familiar with Jon Ferrara’s entrepreneurial journey but for those that are not, here’s a quick summary: Jon is a pioneer and creator of Customer Relationship Management solutions. He created one of the very first CRMs (GoldMine) before Outlook and Salesforce even existed. He sold this company in the early 90’s and after ten years in retirement, he saw that none of the CRMs on the market was properly integrating social media. He understood how social and digital was going to change the game and created Nimble. If watching an hour-long webinar is not something that would work for you right now, please keep on reading as we summarize the entire content in this blog post. 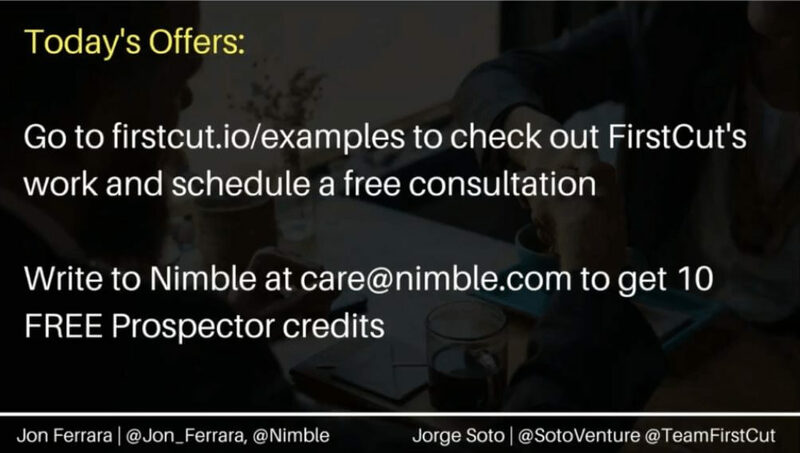 Jorge kicked the webinar off by stating the fact that individual salespeople can’t ignore social media anymore and have to incorporate it into their selling process. They have to break through the clutter and develop a personal brand. Jon used a picture that he took while on a family vacation in Hawaii. He loves traveling and photography and his Twitter header reflects that. It also adds color to his Twitter profile and can be a great conversation starter. Jorge chose to include his company’s logo as his background which helps his profile visitors know exactly what his company does and how it could potentially benefit them. 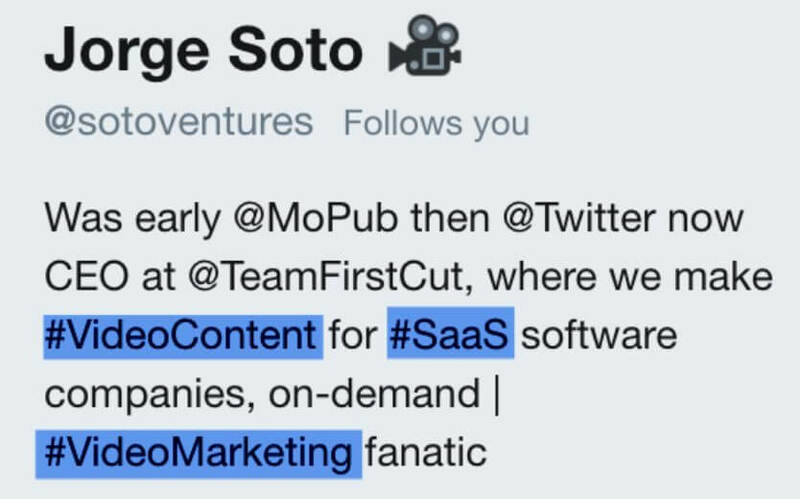 – Jorge’s company is trying to become the thought leader around the topics like #VideoContent, #VideoMarketing or #Saas so they make sure to include them in their bios and the content they share. All your company members should be optimizing their Twitter profiles for these keywords. What Jorge and his company are doing is that they are positioning themselves as trusted advisors in these areas. 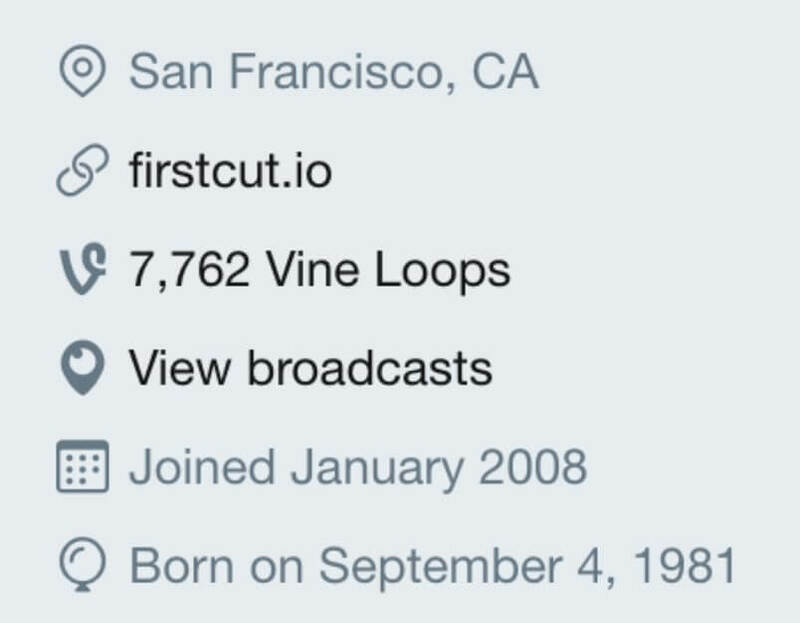 If you click on the hashtag #VideoMarketing in his Twitter bio, you will see that his company is featured on top of the search. 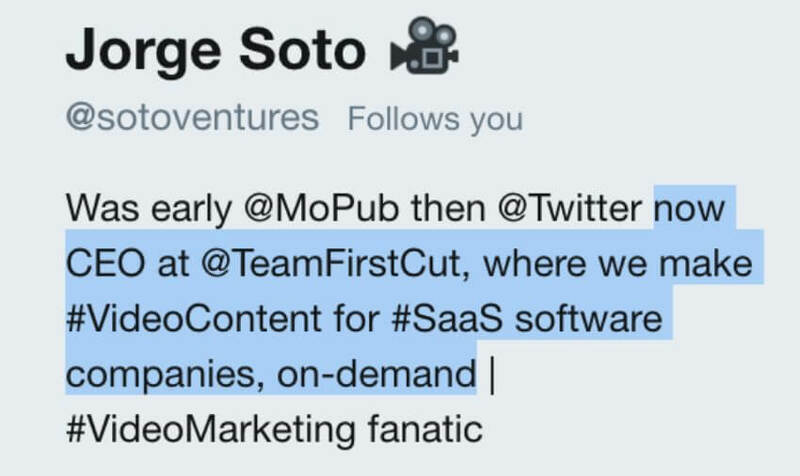 If you scroll through the feed, you will see a lot of content Jorge and his company share with these hashtags. They are consistently putting themselves in front their target audience and positioning themselves as thought-leaders in the industry. They also make it easy for people to get in touch with them directly from this Twitter search by including their website on their profiles. 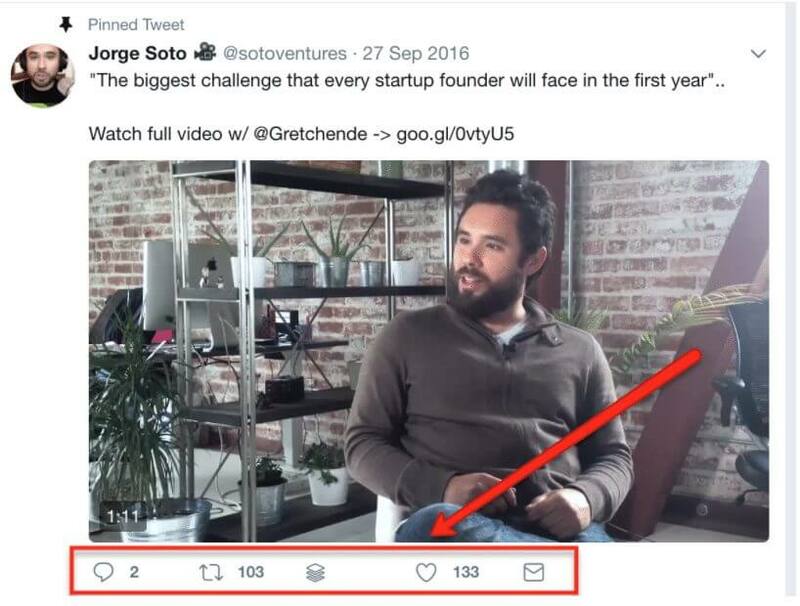 Jorge and his team also make sure that they go through these hashtag streams and regularly engage with the people passionate about this kind of content. 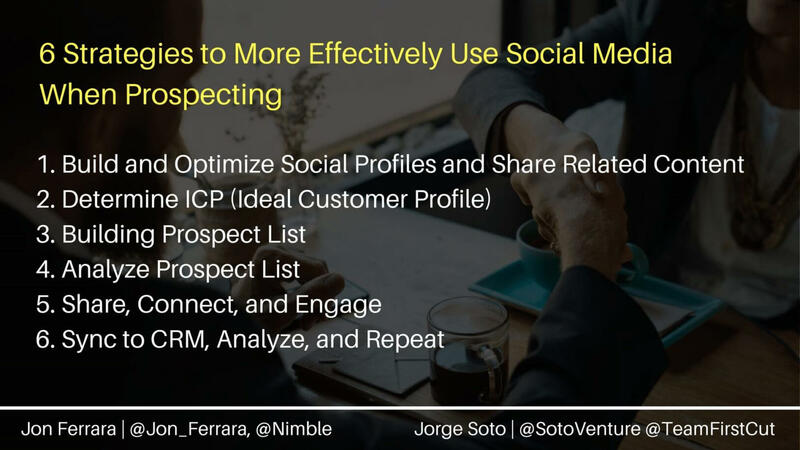 Jorge recommends that every salesperson and SDR (Sales Development Representative) dedicate an hour or two every day to prospect on social media and create lists of prospects and bring them into your CRM system. *Remember: this post will be the first thing someone sees when they open your profile, so make sure it’s something that represents you well and draws people in. Make sure that you have filled out the entirety of your profile and that you are constantly posting content to attract engagement. Add keywords to your “Featured Skills” and get others to endorse you. This will increase the chances of your profile to surface when such keywords are searched. Use keywords to categorize and describe your company and its goals. Determine what department you’re focusing on. List keywords that people in your target market are using. This will be crucial to find customers on social media using hashtags. List the possible titles of your target customers. Lastly, list the people who your team should make the initial connection with. Your target company region? Size? Which different technologies do they use? What are the investment levels? Nimble allows you to find the contact info you need by simply hovering over the name of the person or company you want. You can now easily create a list including phone numbers, emails, social profiles, and company information. Use online databases such as Crunchbase to find companies that fit your ICP. You will be able to use Nimble on any social media (LinkedIn, Twitter, Facebook, etc.) site and websites. Even in news articles! Tags in Nimble help to make specific lists. Ex. If you want to contact start-up companies specific to social media marketing you can tag “SMM Start-up” when you add their contacts into Nimble. 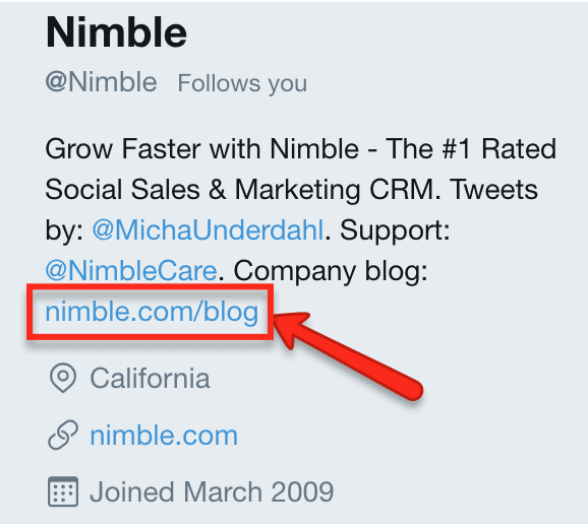 You can now go through your lists on Nimble and begin reaching out and creating connections. By using different data points Nimble allows you to create personalized group emails that have proved to have nearly 50% opened rates. Now you have your list in Nimble and can enrich each record with social data by clicking on them. Once you do so, Nimble will start suggesting people’s social networks allowing you to build complete digital records for all your contacts. Start going through people’s Twitter streams and share, like and comment on their content. Always remember to try to add value to their shares and don’t be shy to start a conversation. 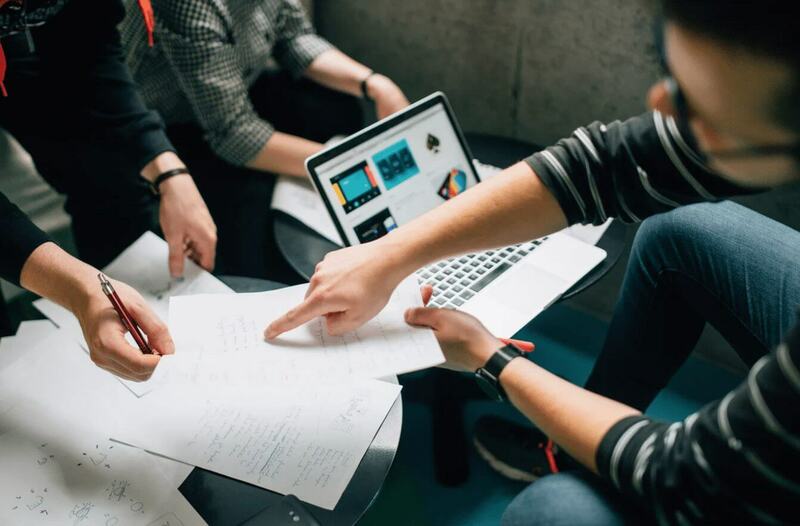 Engaging with your prospects’ content prior to sending an email or calling them will increase your chances of them recognizing you and welcoming you with open arms. Does you SDR work in spreadsheets instead of using the Nimble browser extension to build people into your CRM right away? No worries. 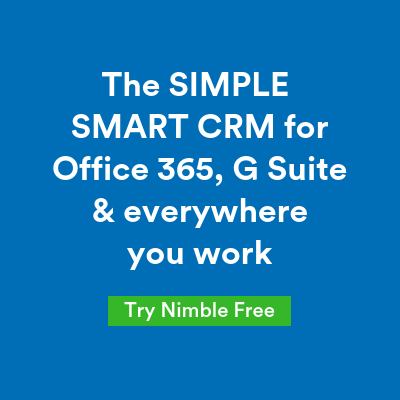 Save you spreadsheet as a csv file and import directly into Nimble! Next Which Social Media Should I Use in 2018?